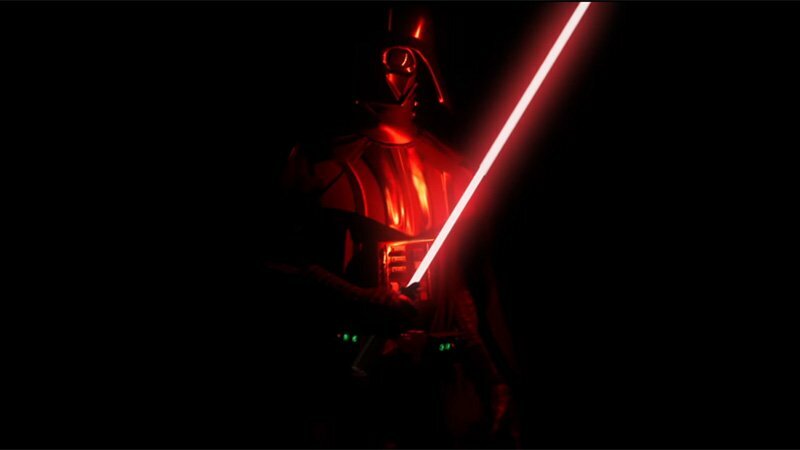 We may still be a month away from the real national celebration, but today is essentially Star Wars day as the celebration event in Chicago continues to reveal more exciting news for the blockbuster franchise, including a new trailer for the upcoming virtual reality series Vader Immortal, which can be viewed in the player below! Darth Vader: we know him as the galaxy’s most infamous villain whose mere breathing can spread terror across an entire universe. A blend of advanced technology and moral decay, his power is unrivaled. Vader’s death is, of course, famous to fans all over the world — but there’s still much to be told about his life. The series — set up by the events of Star Wars: Secrets of the Empire — takes place on the lava planet Mustafar between Revenge of the Sith and A New Hope, and features a unique combination of immersive cinematic storytelling and dramatic interactive play. You’ll go inside Vader’s fortress, first seen in Rogue One: A Star Wars Story, which is set in the fiery wasteland the Sith Lord calls home. Viewers will have the chance to be at the center of the story, an active character in the experience itself which is only possible in virtual reality. The 3-part series was written by David S. Goyer who will executive produce. Vicki Dobbs Beck will serve as executive in charge, and the series will arrive on Oculus Quest sometime this year. Award-winning developer Ninja Theory and Epic Games are also helping with development.